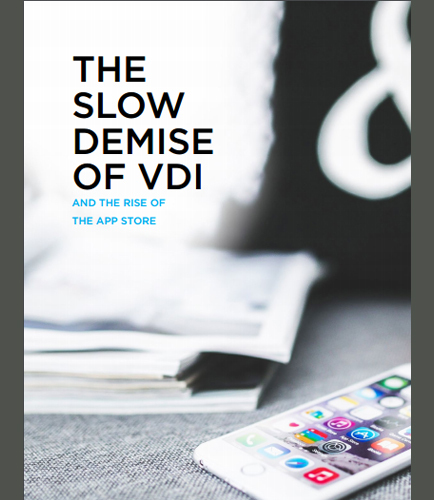 "The Slow Demise of Virtual Desktop Infrastructure and The Rise of The App Store"
Virtual desktop infrastructure (VDI) is a shadow copy of the desktop including its OS, installed applications and documents, which are stored and executed entirely from the server hosting it. Desktop virtualization is one of the stand-out technologies of the past decade. With the advent of Google apps and cloud storage services, such as Google Drive and Dropbox, IT users quickly embraced the freedom to migrate to the cloud and to work across multiple devices; mixing local applications with cloud services to enable them to work in new and more flexible ways. What are the common Virtual desktop infrastructure issues you must consider? How to troubleshoot them? What are the different layers of virtualization? What are the advances in application virtualization? What are the problems related to the connectivity and performance that still remains unsolved?